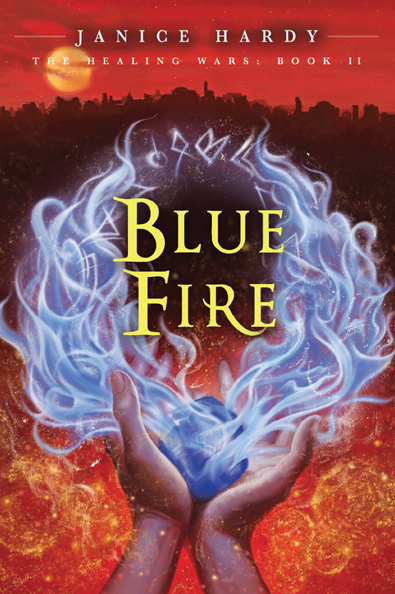 First Novels Club: Janice Hardy on curbing unrealistic writing expectations + BLUE FIRE giveaway! 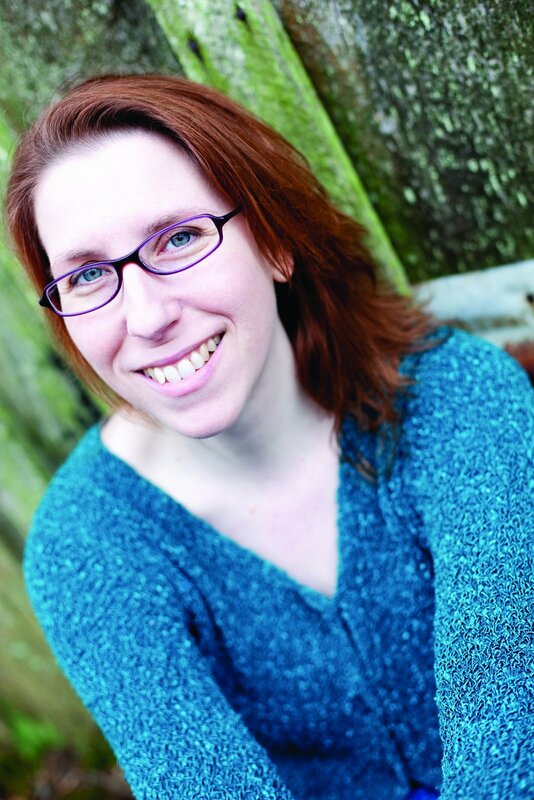 Janice Hardy on curbing unrealistic writing expectations + BLUE FIRE giveaway! Janice dispenses top-notch writing advice 5 days a week on her blog (an FNC favorite! ), and she's guest posting about the problems she came across when she tried to schedule her creativity and write her latest book in six months. Eighteen months of writes, rewrites, and revisions later, she's ready to impart her hard-earned wisdom! I have no shortage of novel ideas. New ones come at me all the time and I’m always starting new files to hold notes and plots and whatnot. Naturally, whenever I get a new idea and I get excited and want to dive headfirst into that idea. Yeah, this is pretty normal. We wait and struggle for so long to get that first book published, then the floodgates open. I made detailed plans of when I was going to write which book. When I’d do the various drafts, when I would send them to my crit groups. I think I even gave my poor agent a schedule of my next few books and when I expected to get them to her (major cringe at this memory, but I’m sure she chuckled and my cute naiveté and forgot about it). Then I learned that books take the time they take, and trying to force yourself to a schedule is going to drive you crazy. Blue Fire, my second book (just released), was “scheduled” to take six months. Two months for a first draft, working off my “oh so achievable” three chapters per week schedule. Two months of revisions, one month for the crit group to review, then back to me for the final month of edits. Easy peasy, right? Fifteen months and five total rewrites later, it went to my editor. Where we did three more rounds of heavy revisions before I (and she) was happy with it. It was a great learning experience, though. Not only did I learn that I did have the chops to do this writing thing and take a “the first book was a fluke I really can’t write” draft and turn it into a pretty decent novel in the end, I learned that I couldn’t schedule creativity. Taking so long on Blue Fire put me behind schedule on book three. So I had this “I’m so behind” mantra eating away at me, making me feel like I had to write as fast as possible. Which of course only meant I wrote so-so drafts where word count was more important than the story. And then berated myself when the book wasn’t what I knew it could be. My husband finally made me realize what I was doing to myself. He reminded me how long Blue Fire took, and reminded how long my first book, The Shifter, took. And then he asked me how book three was going compared to them. He told me to forget about getting it done “on schedule,” and look at what I honestly and reasonably felt I needed to finish it the way I knew it had to be finished. And it was about nine months, the same time it took me to write The Shifter, back when I had no deadline, no rush to get it all done, no agent or editor. Without losing my mind or making me feel like a failure for not living up to my ridiculous “two books a year” schedule. Books take what they take. Some writers can do two or three or even four books a year, others do one book over two or three years. There’s nothing wrong with either process. Understanding the time I needed to write a book I’d be happy with, on a schedule I wouldn’t lose my mind trying to adhere to, made the whole thing manageable again. If I wanted to be in this biz for the long haul (which I do), then I needed to find a schedule that didn’t burn me out or make me crazy. The rush to write all those stories in my head is still there of course. I’m a writer, after all. But I know I’ll get to them when I’m ready. And they’ll be better novels because of that. What's the most unrealistic writing expectation you've had for yourself? Any wise lessons to pass on? How quickly (or slowly, like in my case) do you write and revise a novel? Leave it in the comments! No entry for me (I'm in Australia), but I wanted to comment. I've had this same realisation just recently--I was hurrying along to a self-imposed deadline, and realised I wasn't achieving anything except stressing myself out! I've now relaxed, moved my deadlines to a place that take into account my other commitments, and the standard to which I want to complete my work, and I'm doing so much better! That's great! And I bet your work has improved, too, because you're able to focus better. I read somewhere (forget where) that if you wrote 250 words a day, at the end of the year you'd have a 90K novel. 250 words isn't much, so when you look at it that way, even small, steady, steps can get you to your goal. Great interview. I'm glad to know it's okay not to be a fast writer. My unrealistic expectations have been that I'm done when I'm not and that it would take less time than I thought. Sound familiar? Totally :) Writers don't compete with each other, but there is this weird sense that if we aren't doing what someone else is doing we're "losing" in some way. Hard to snap out of that sometimes. Great post. For me, very timely too. I am currently editing a book that I was planning to submit by November, but I know that's not going to happen. I am considering some major revisions, and I know I have to do them because I know what this book could be, and I don't want it to be any less. Good luck, Dolly! It's not always easy to set aside our self-imposed (or editor-imposed if that's how it goes) deadlines. That adage "it's not a sprint,m it's a marathon" is so true. I remind myself of that every time I feel that crazed urge to rush when I KNOW I don't have to.